On Sale Now! 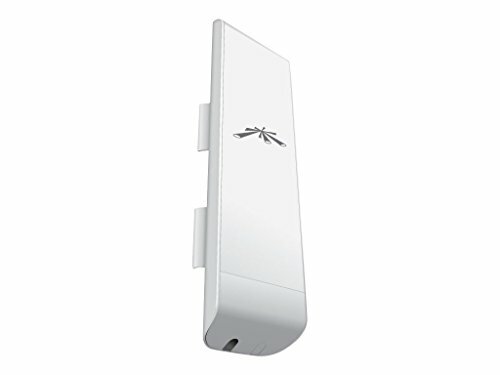 Save 10% on the Ubiquiti Nanostation NSM5, 5GHz, 802.11a/n Hi-power 20 dBm Minimum, 2x2 MIMO AirMax TDMA PoE Station by Ubiquiti Networks at Pacs BG. MPN: NSM5. Hurry! Limited time offer. Offer valid only while supplies last. Ubiquiti networks set the bar for the world's first low-cost and efficient broadband customer Premises equipment (CPE) with the original NanoStation. Ubiquiti networks set the bar for the world's first low-cost and efficient broadband customer Premises equipment (CPE) with the original NanoStation. The NanoStation M and NanoStationloco M take the same concept to the future with sleek and elegant form factors, along with integrated airMAX (MIMO TDMA Protocol) technology. The low cost, High performance, and small form factor of NanoStation M and NanoStationloco M make them extremely versatile and economical to deploy. Time Division Multiple Access, integrated airMAX™ (MIMO TDMA protocol) technology.